Intercultural Friendship Society is A self-capacity building organization and an international community that works through young volunteers to promote intercultural peace and understanding. Enables young people aged 17-30 to share their skills and help provide personal and community development. You will contribute to the physical health and intellectual development of the world's future leaders. The mission of the Intercultural Friendship Society is to promote a culture of peace by working together with organizations and local and rural communities to develop activities that will have a positive impact on the local environment; beneficial to the local community; and create opportunities for cultural and educational exchanges. We listen to the needs of the local community, dreams and plans. Then, we mobilized volunteers to work with them with their community's vision to serve youth and families. You are part of that vision. 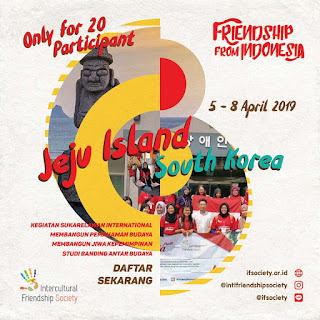 Friendship From Indonesia is an international community service program that aims to convey Indonesia’s sense of concern to the international community by involving youth to improve the quality of life and peace. Unites young people from around the world and gives them an opportunity to see that beyond our nationality, ethnicity, beliefs, past experiences and present circumstances, we are all human beings who essentially want the same things: acceptance, love, equality and peace. This goals of this program is to ignite empathy and compassion, to inspire youth to turn this compassion into action by giving them the necessary tools and support to make an impact in their homes, their communities, their world, among their peers and, most importantly, within themselves. Respect every individual according to the statement written in Universal Declaration of Human Rights. International solidarity for a world with more justice and solidarity between humankind in every walk of life. Respect, maintain, and appreciate the environment as well as the ecosystem because we live in it and we depend on it for living. Open and inclusive for all individuals who has one vision with our movement, without judging through their genders, skin tone, religion, nationality, social status or political views and any other possible reasons for discrimination. Cooperating with local community and local actors to strengthening positive potential of the whole civilians and form the local community become a main actor of change. Willing to follow, obey the program rules adn able to work in team. Have a high commitment to be a global community and a spirit of dedication. Have a good character, do not have record of bad behavior. Health, safety, and security are our top priorities when you join the program. Lodging, food and transportation are provided always with a mind to protect you as you become part of this program. Your Hotel Inn offers 24-hour security, and maximum security in guest rooms and public areas. After a day of program, the evenings and weekends are free to explore the many cultural, historical and natural points of interest surrounding the venue of the program. You can visit museums, galleries and historical sites for cultural and historical enthusiasts and shopping for bargain hunters as well as for your loved ones. Return ticket from your home to visited country Airport.Personal equipment.Transportation outside program implementation. 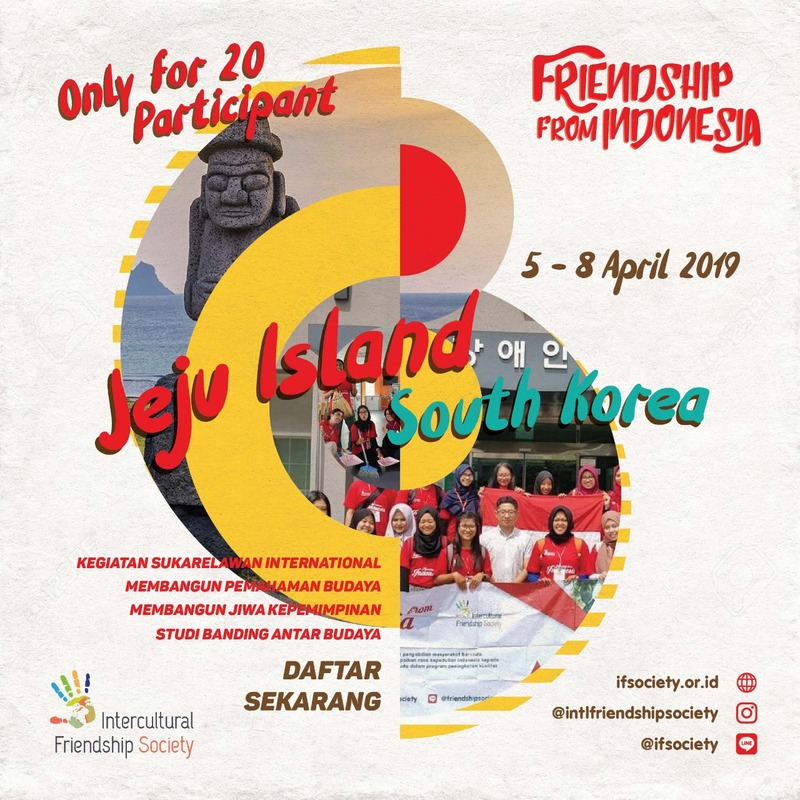 Includes: Airport assistance, accomodation, meals (3 times/day), local transportation during program, program kit, international certificate, LO. Excludes: Flight ticket from/to Indonesia, transportation and accomodation outside the program/schedule.